The “instead of a bum” part was intentionally left out of the quote above. It doesn’t seem entirely fair to call the fourth and fifth seeds from the Western Conference, particularly this year’s Western Conference, “bums”. However, that’s kind of the point of the quote right? Life’s not fair. Both of these teams know that all too well. Both of these teams have looked like legitimate title contenders at some point in time this season. Injuries, ill-timed slumps, and the cannibalic nature of the West have pretty much left very few people giving either of these teams much of a shot to win the conference or the title. Both of these teams have some post-hype potential, and whoever comes out on top in this series has the ability to give the Warriors (assuming of course that they beat the Pelicans) a legitimate scare in round two. 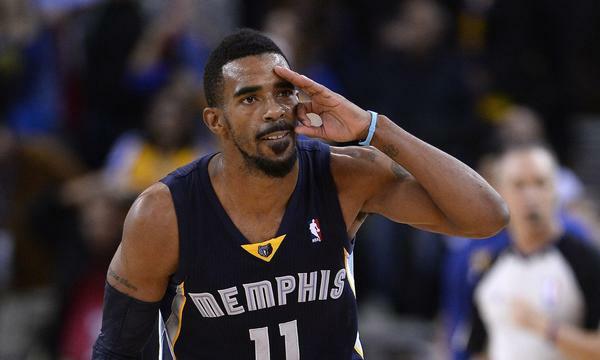 The injury status of Mike Conley and Tony Allen is going to be a key storyline in this series. Conley is nursing a foot injury, while Allen has been hampered by a hamstring injury for the last few weeks. Dave Joerger has stated that they wouldn’t have played in last night’s victory over the Pacers even if it had been a playoff game. When healthy, Allen is one of the game’s best one-on-one perimeter defenders. He may not do much on the offensive end, but he is such a huge piece for the Grizzlies’ style of play that he demands a starting role when healthy. Conley, on the other hand, is the catalyst for the Grizz offense, and does as good a job as anyone at keeping everyone involved on the offensive end. Without those guys, Courtney Lee and Jeff Green will have to bear a heavy offensive burden, and they will need to do it efficiently. 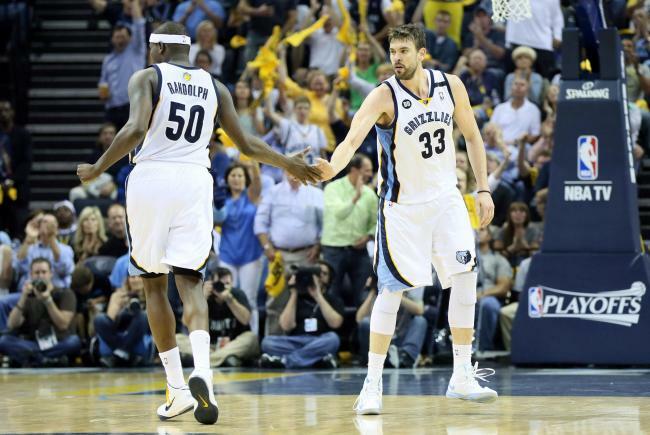 Meanwhile, role players like Vince Carter, Beno Udrih and Nick Calathes will have to step up. Calathes has had a phenomenal year on the defensive end, despite having the hair of a middle-aged Rec league player, and would certainly be a more than capable fill-in as the de facto shut-down perimeter defender, should Allen miss some time. Udrih has been atrocious from three this year, but otherwise has played decently in limited minutes. Lastly, at 38 years young, it’s Vinsane for Vince Carter to even still see meaningful playing time for an NBA team. However, to describe his play this season as anything other than replacement level would be generous to a fault. The Trail Blazers have the coolest backcourt nickname in the NBA (sorry Splash Brothers). However, the Rain Bros are a player short already heading into the playoffs. Wesley Matthews ruptured his Calcaneal, or Achilles’, tendon on March 5th and is done for the remainder of the season. The Blazers acquired Arron Afflalo at the trade deadline to bring in some additional depth and shooting, but that has been for naught so far. Afflalo wasn’t shooting well, and now a shoulder injury is threatening to keep him out of playoff action. Damian Lillard may be one of the few encouraging topics of discussion in this series. He has very quickly become a legitimate star. Offensively, he can do everything an NBA point guard is asked to do, and his defense is coming along. Other factors in the Portland backcourt will be Nic Batum and C.J. McCollum. McCollum is a talented offensive player, but in the past his ball-stopping tendencies made him difficult to play with. Recently though, it seems that he is finally starting to grasp the finer points of playing guard in the NBA. Batum has made his living in the NBA as a jack-of-all-trades type of player, but he has been a massive disappointment this season. He missed the regular season finale with a knee bruise. Z-Bo and Marc Gasol have made a killing by treating every other NBA frontcourt, especially Blake Griffin and the Clippers, as the Ralph Macchio to their Johnny Lawrence. They smash and bash their way down low on a nightly basis, and it works for them. The only real concern I have about the Memphis frontcourt going forward in the playoffs is depth. Kosta Koufos is a good rotation big man, and Tennessee product Jarnell Stokes has the potential to give good minutes. Other than that, Memphis’ only down low bench help comes from Jon Leuer and JaMychal Green. LaMarcus Aldridge has been the most underrated star in the NBA for quite some time now, but he has played the whole second half of the season injured. He has played well in spite of that, but given this particular matchup it is concerning. Robin Lopez also hasn’t been the same after breaking his hand in December, but you can bet if Griz (the Memphis mascot) tries to check into the game Lopez will have him on lockdown. Chris Kaman is nearing the final leg of his career, and Joel Freeland fits into that same boat, although his peak was significantly lower than Kaman’s. Myers Leonard, on the other hand, does provide some young, fresh legs for the Blazers, and he is incredibly handsome, or so I’ve been told. Terry Stotts and Dave Joerger are two of the least heralded good coaches in the NBA. Of course, being an anonymous NBA head coach is usually not the worst thing in the world. The casual fan only knows who you are if you are great, egregious, or a loon. Stotts and Joerger don’t fit into either of those categories, but they are closer to great than either of the other two categories. An upset actually seems likely in this one, and this seems a matchup that many, if not most, experts and analysts will actually pick the upset. However, here’s a sneak preview of what it may look like. 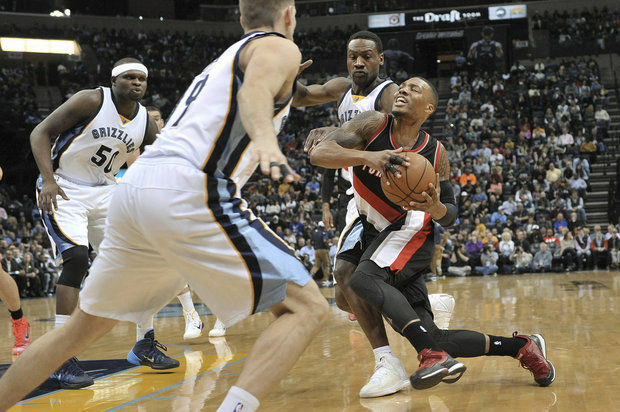 The tough-minded Grizzlies physically punish the already ailing Blazers. Lillard has enough in the tank to grit out a win or two, but in the end Portland runs out of gas first and Memphis limps into round two. I’ve flip-flopped on this about a dozen times just while writing this sentence, but I’ll stick with my original inclination which is Memphis in six.